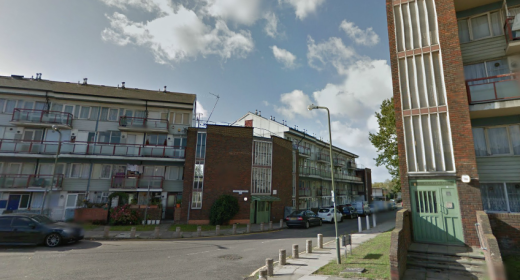 Homeowners and council tenants, housing association tenants and private tenants from the West Hendon estate in Barnet are fighting to save their homes against a multi-million-pound regeneration scheme. We spoke to our member Jasmin Parsons who lives in West Hendon to find out more. Jasmin Parsons has lived in Hendon, North London for over 50 years. She is a leaseholder on the West Hendon Estate; an area caught in the middle of a massive regeneration, which is projected to continue well into 2020s. Jasmin joined us at a time when she needed support from an organisation wholly on the side of the homeowner. 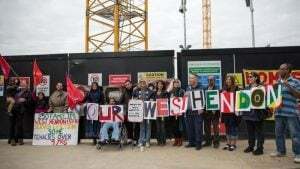 She had already been a representative for the West Hendon residents for a long time, even before the regeneration was first raised in 2002, so has had a long interest in homeowners’ rights. She started off as a council tenant on the estate, but was required to exercise the right to buy in 1987, when she needed to move into a larger property due to her expanding family, but was unable to get a transfer. Jasmin says that she values her HOA membership highly. She has enjoyed regular contact with our HomeHelpline team at a difficult time for her and her neighbours. We helped Jasmin secure her first media coverage and establish close links with other Londoners in similar situations – particularly those on the Aylesbury estate in South London. Jasmin says these relationships, outside her own immediate area, have been a great help both ways. Jasmin strongly believes there is a great need for the HomeOwners Alliance as a voice that is purely on the side of the homeowner. To others in a similar situation as herself, Jasmin would suggest that they use social media to reach out to like minded people but would also emphasise that it is important to talk to everyone involved to try to come to a fair solution. When we asked Jasmin what she would like to see changed in terms of homeownership in this country, she is very clear that she would like big business to be removed from homeownership. Jasmin believes that there is plenty of room in the country for everyone to be given safe, life secured homes even if they themselves don’t own these homes. Find out more about Jasmin and the regeneration of the West Hendon estate by following the Our West Hendon petition on change.org.uk and 38degrees.org.uk.